During the grand finale of Miss Universe Jamaica 2018, Kayla Smith was crowned Miss Intercontinental Jamaica 2018. She is now a finalist and the international delegate for Jamaica at Miss Intercontinental 2018 to be held in January next year, in Philippines. Kayla succeeds Miss Intercontinental Jamaica 2017 Sasha Henry who was placed in the Top 18 semifinalist at Miss International 2017. Kayla Smith is a banker by profession who works as a Member Service Officer. She also works on different modelling projects. 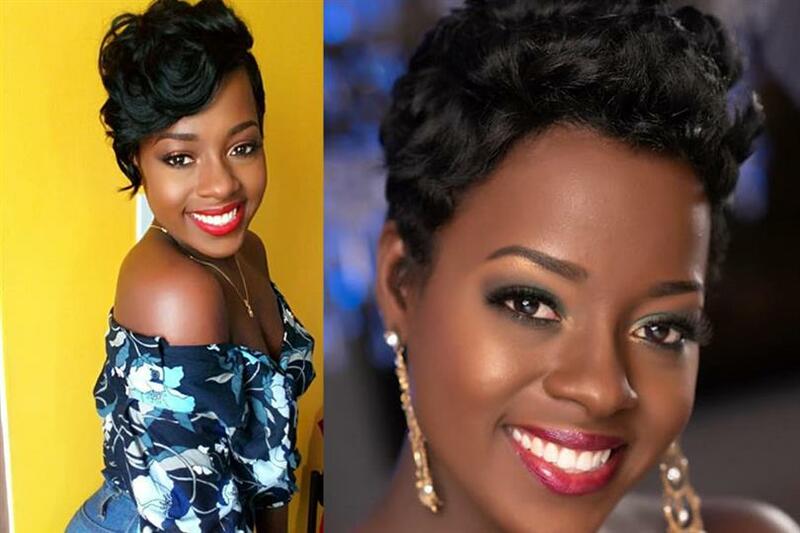 She was the second runner-up in Miss Universe Jamaica East 2018 and was a contestant of Miss Universe Jamaica 2018. She is 26 years of age and stands tall at a height of 172 cm. She is a very loving and passionate person. Born in the city of Spanish Town, Kayla is very passionate about kids, which is why her charity is Child Abuse and Awareness. She is also a very religious person. She loves food and listening to music. In the same Emily Maddison was crowned Miss Universe Jamaica 2018 which means now she will represent Jamaica at Miss Universe 2018. And Kadejah Anderson was crowned Miss Grand Jamaica 2018 who will now represent Jamaica at Miss Grand International 2018. Emily, Kadejah and Kayla were crowned as amongst 24 other contestants vying for the title. Angelopedia wishes them all the very best for their international contests.